What do I need to do to learn more about the Church of Jesus Christ of Latter-Day Saints? What happens in the process of joining the LDS Church? Or How do I become a member? Attend a Sunday worship service. You may do so on your own or if you choose to meet with the missionaries they will invite you and encourage you to attend.You can find your nearest LDS church at the link below. Visitors are always welcome. After attending a service if you would like to learn more or contact your local missionaries you can talk to the leader of the congregation called the Bishop or one of his counselors. These are the men that are sitting on the stand who conduct the meeting. You may gain a testimony and be baptized. As you go through the process of meeting with the missionaries you may gain a testimony of your own and your faith may grow. As the Spirit teaches you, you may have a desire to make changes in your life and may begin to repent of past or current wrong doings. If you gain a testimony of your own and repent of any necessary wrong doings you may be baptized a member of the Church of Jesus Christ of Latter-day Saints. Basic Mormon Beliefs - This is one of the best sites to answer your questions. It is filled with profiles of members of the Church and their thoughts and testimonies. True to the Faith - This online book is a reference that covers all of the basic doctrines and principles of the LDS church. Request Free Media - This includes booklets, videos, and the Bible and Book of Mormon. Jesus Christ - On this site you will read more about our belief in Jesus Christ, His role in our lives, and will discover for yourself that we are Christians. Joseph Smith - At this link you can learn more about the Prophet Joseph Smith and his role in the gospel. Temples - Here you will learn about the purpose of temples and receive answers to questions that you might have. I know that The Church of Jesus Christ of Latter-Day Saints is the true church. I know that it is Christ's church restored to the earth in our day by the Prophet Joseph Smith. I know that Joseph Smith was a prophet of God and that he saw our Heavenly Father and our Savior Jesus Christ. I have a testimony that God answers our prayers, that He loves us, and that He sent His Son to die for us. 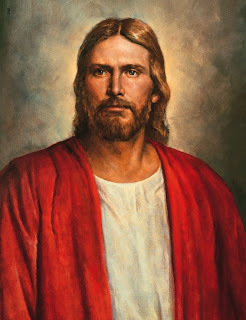 I bear testimony that our Savior is our perfect example, that He did perform the atonement for us, and that through Him we all may be able to return to live with our Father in Heaven again. I am so grateful to have the Book of Mormon so that I can continually feast upon the Word of God. I know that this book is true and can give us direction in our lives. I know that our modern-day prophet, Thomas S. Monson, is a true prophet of God who leads and guides us in these days. I am so grateful that I have been able to grow in this knowledge through the guidance and assurance of the Holy Ghost. What a wonderful blessing it is to be a member of the church. My hope and prayer is that all might have the opportunity to gain this knowledge for themselves, in the name of Jesus Christ, Amen. If you have any other questions that this post and/or these links do not answer feel free to email me at [email protected] or leave a comment on this post. I hope this post helps a little.